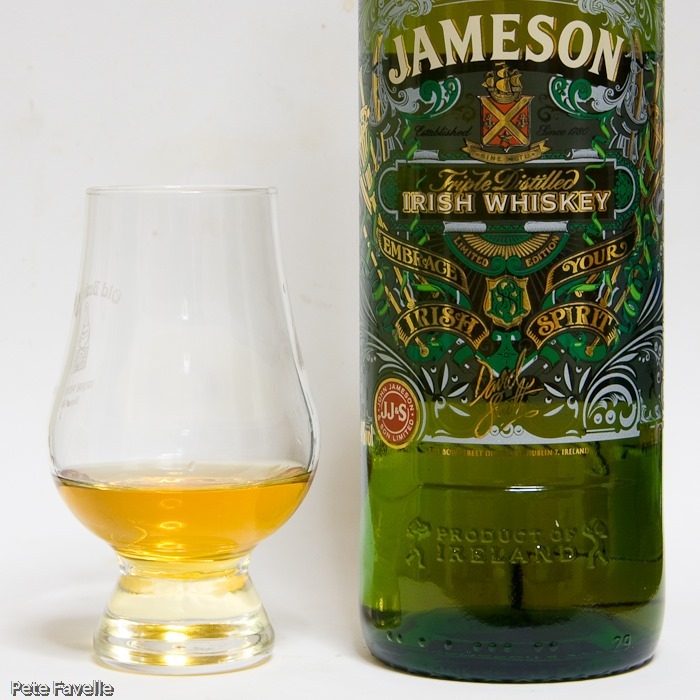 With the approach of St Patrick’s Day on Sunday, it seems appropriate to go for an Irish Whiskey this week! 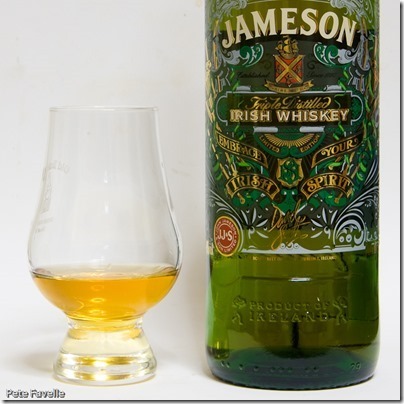 This is the standard Jameson Irish Whisky, albeit in a slightly fancier label than normal. It’s pretty widely available in supermarkets everywhere, and very keenly priced at a shade under £20 a bottle. Despite only being 40% ABV, the nose has a lot of strength to it; crystal clear alcohol with a sweet, sugary backing to it. There’s a hint of old oak, and just a touch of grain too. With a splash of water, the nose is surprisingly different; the alcohol is obviously reduced and more of the barrel is released along with some cardamom spice notes. It’s light on the tongue, with the alcohol not as pronounced as on the nose and a syrupy sugar sweetness. Watered, it’s a little less sweet, with more Ryvita-like flavours coming through. Ok, so it’s not the most complex or mindblowing dram you ever drank, but it’s surprisingly smooth and dangerously drinkable – given the price, I’ll give it 3 stars.